Ford Performance listened to feedback from supercar owners to develop a Ford GT that is as easy to use day-to-day as it is exhilarating on the racetrack. Each drive mode is specially tuned for a unique driving environment. Leveraging learnings from the Ford GT racing programme, Ford Performance gave each mode a unique instrument cluster display, with elements prioritised according to the mode to enhance the overall driving experience. Simply by turning a dial on the Formula 1-inspired steering wheel, the all-new supercar can switch nearly instantaneously from canyon-carving road car to fully functioning racecar tuned for maximum speed and downforce. 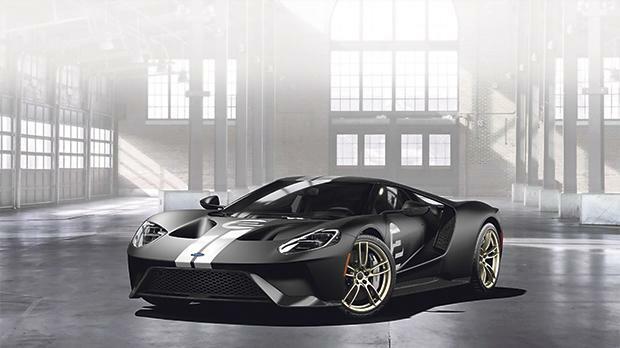 The Ford GT also features an advanced, yet easy-to-use launch control system that provides optimal traction for the perfect launch every time. Designed for track use, it’s available in all modes except for wet mode. When normal mode is selected, the Ford GT’s ground clearance is set to 120 millimetres to comfortably contend with speed humps, potholes or driveway inclines. Throttle and transmission calibrations are configured for standard driving, and traction and stability control systems cannot be adjusted. In normal and wet modes, comfort suspension is available. Pressing the comfort button softens the car’s ride on bumpy roads by adjusting compression and rebound in the dampers – without compromising control. Activating the Ford GT’s sport mode adjusts throttle settings to sharpen responses from the car’s twin-turbocharged 3.5-litre EcoBoost V6 engine and anti-lag system. Developed on the Le Mans-winning Ford GT racecar, the anti-lag system keeps the turbochargers spinning to provide boost on demand. Stability and traction control settings become driver-adjustable using the AdvanceTrac system, allowing three additional settings. Widened slip, yaw and oversteer parameters enable drivers to further explore the car’s dynamics. While sport mode can be used effectively for many tracks – especially those that require a higher ride height – track mode is optimised strictly for race conditions. With the transmission in park on pit road, a turn of the dial activates hydraulics that drop the ride height by 50 millimetres. Spring rates increase and damping is adjusted to the firmest setting. The rear wing deploys, and the aerodynamic openings in the front close for maximum downforce. All happens in less than two seconds. In V-Max mode every setting is tuned to make the Ford GT go as fast as possible.